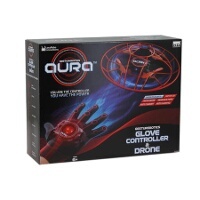 Use the power of your hand gestures to move the Aura GestureBotics drone with controller. 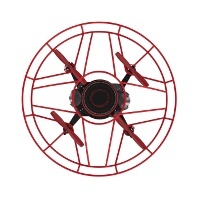 Gesturebotic Sensor is a unique patented technology that lets you fly the drone with precision simply by using hand gestures, giving you telekinetic powers. Controlling the GestureBotics is a piece of cake. 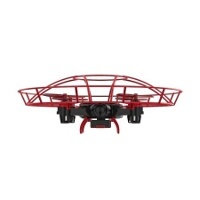 The Aura drones advanced flight sensors sense altitude and easily maintain height from take-off. 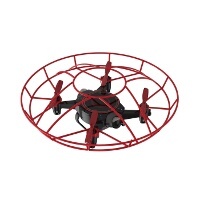 In addition to landing itself, the Aura drone can perform 360-degree flips for exciting mid-air action. 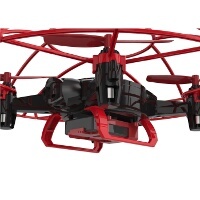 With rugged wireless technology, you can fly and control several drones in one area and avoid interference with the wireless devices.